Co-sponsored by ANCs 1B, 1A, 2B and Ward 1 Councilmember Brianne Nadeau. 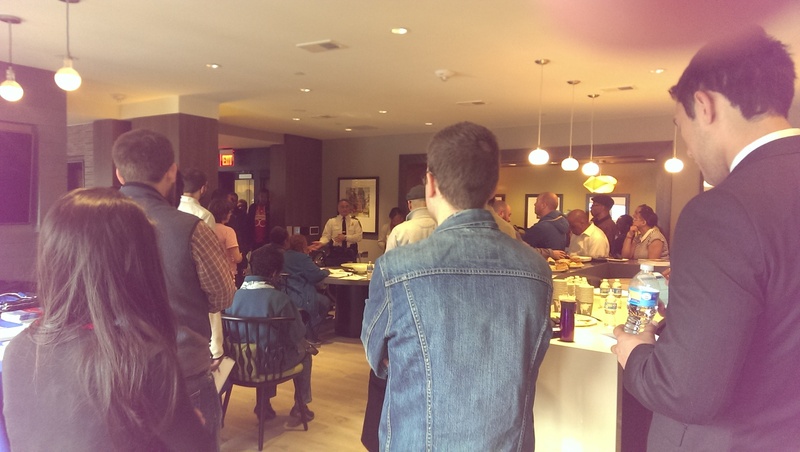 The summit is a great opportunity for residents of Wards 1 & 2 to discuss crime prevention, while meeting interested neighbors, business leaders, police officials and D.C. agencies that focus on public safety. Most crimes in DC are preventable. Being aware of your surroundings and watching where you leave personal belongings can help you from not becoming a victim. Please join us to learn more tips on how to protect yourself and about criminal behaviors that can help you and your neighborhood be safe this summer. Ms. Nolan is DC’s foremost crime prevention expert and a certified Neighborhood Watch Trainer. Her presentation is approximately 1.5 hours and open discussions will be encouraged before, during, and after. 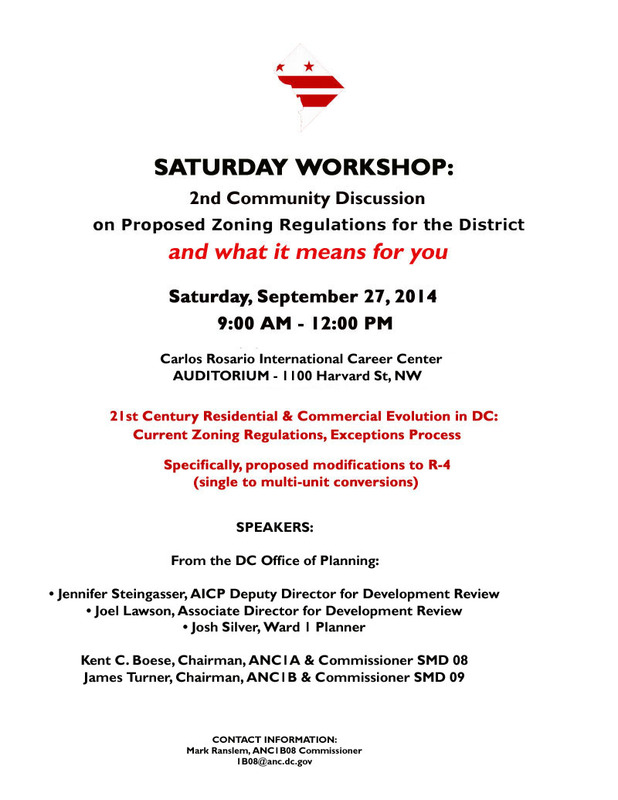 For more information, please contact John Green, ANC 1B12 Commissioner at johngreenanc(at)gmail.com. 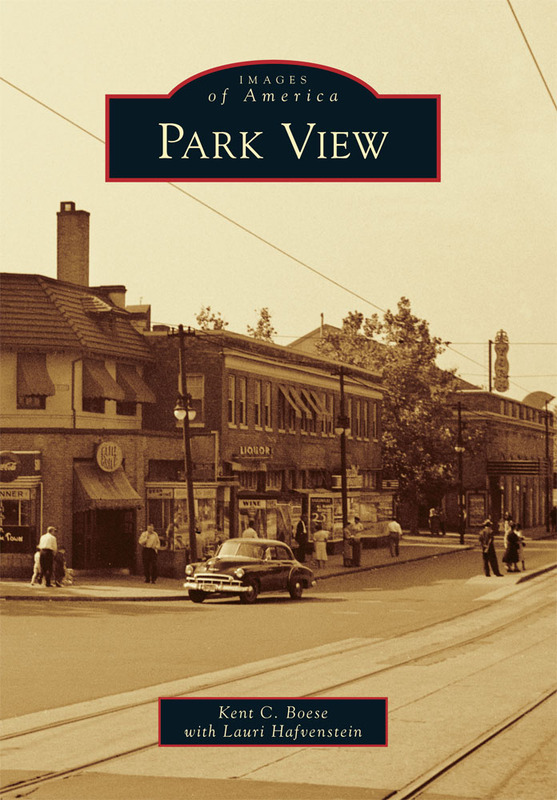 Over the past 4 1/2 years as I’ve served on ANC 1A, I’ve been looking for ways to improve the Commission’s operations in addition to weighing in of the various business that requires ANC review — such as liquor licenses and zoning variances. One small change I recently identified and which could easily be solved is giving the Board of Elections clearer instruction to declare a seat vacant when a Commissioner stops attending meetings. While many ANCs do not have a problem with absenteeism, others do (especially in the second half of a term). Not only does an absentee Commission fail to represent the people who elected them, but it has resulted in instances where a Commission has failed to achieve quorum which results in the entire Commission being unable to officially vote on the issues at hand. In 2014 ANC1A had two absentee Commissioners — one ceasing to attend meetings after January 2014 and another ceasing to attend after the June 2014 meeting — which did contributed to a failure of quorum at the July meeting and fragile quorums for the last quarter of the term. § 1-309.06(i) Any member of an Advisory Neighborhood Commission who ceases to attend the Commission’s official public meeting for three consecutive months shall be considered to have resigned, and the office shall be declared vacant. The full resolution (read here) was sent to Councilmembers Bonds and Nadeau, and in speaking with a member of Councilmember Bonds’ office, has been received favorably. There is a good chance this simple change will move forward and help keep Commissions operating. 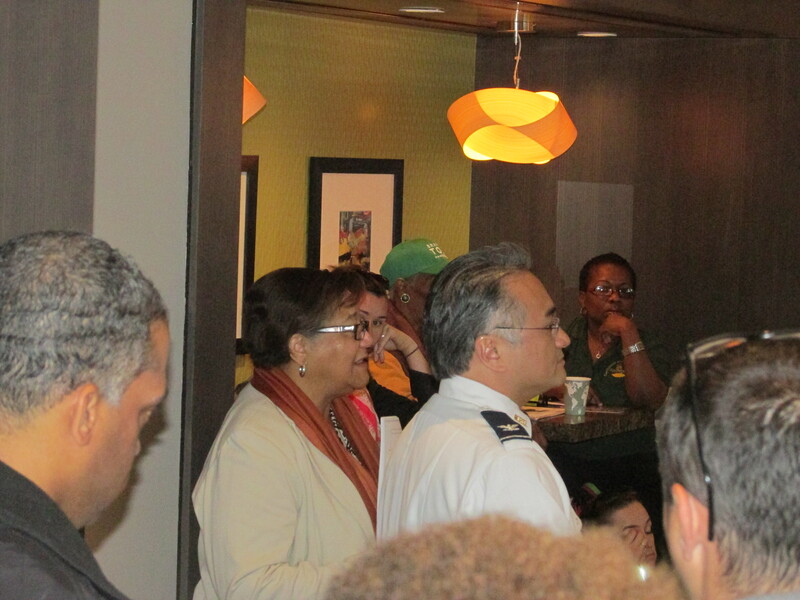 Saturday’s MPD Meet and Greet, organized by Councilmember Anita Bonds, was well attended. In addition to a room full of residents, many ANC Commissioners from 1A and 4C were there, and Councilmember Elissa Silverman showed up during the latter half of the meeting. Representing the police were 4D Commander Wilfredo Manlapaz and Captain Vendette Parker. The event was originally organized as a meet and greet so that residents could better know the officers patrolling their communities. However, with only two representatives from MPD there, the format changed into a question and answer session. 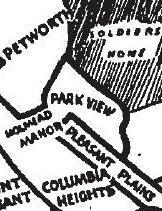 Drew Schneider posted a fairly detailed overview of the meeting at this Petworth News page which is worth a read as well. 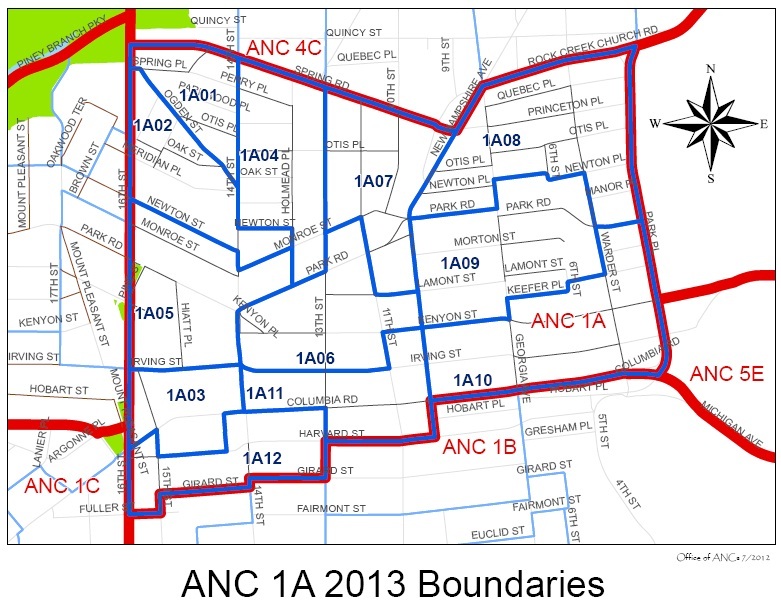 As of today, Monday July 21st, there are 16 days left for those interested in picking up and returning nominating petitions to run for Advisory Neighborhood Commissions (ANCs). The deadline to turn in petitions is Wednesday, August 6th. 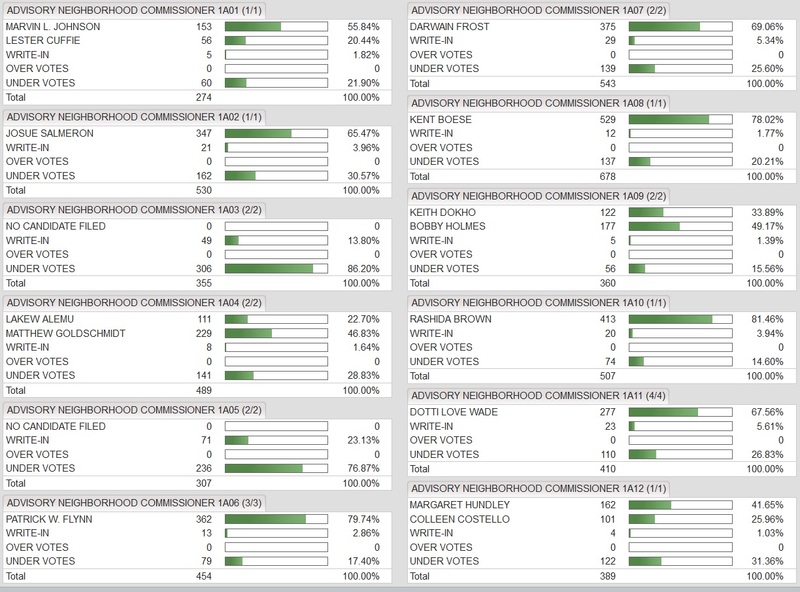 After the first 10 days, 240 candidates had picked up petitions to put their names on the November Advisory Neighborhood Commission ballot. Of those picking up petitions so far, the number is split almost equally between incumbents (121) and “non-incumbents” (119). Four ANCs (2C, 5B, 7C, and 8A) have candidates for all of their Single Member District (SMD) races. However, a little more than one-third of all the SMDs (109) do not yet have a candidate. If you have ever considered being involved in your community by serving on an ANC, this is a good time to check with the Board of Elections to see if your community needs a candidate come November. 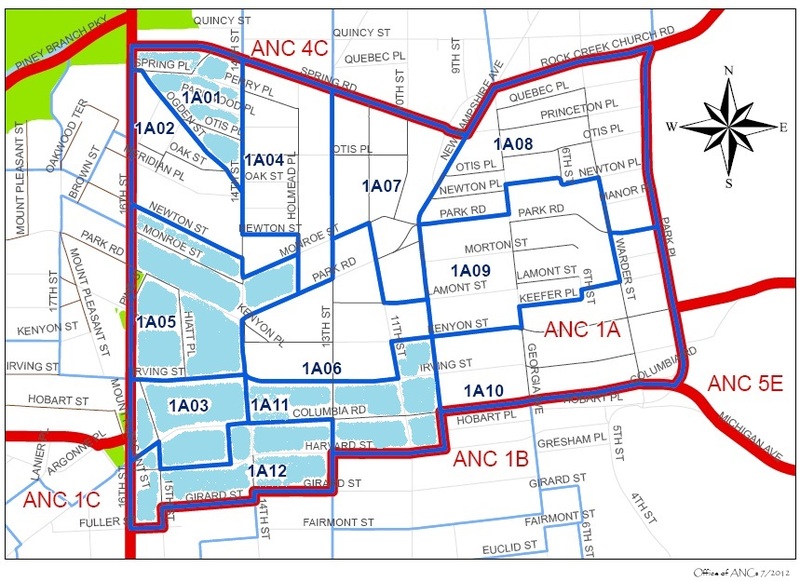 In reviewing the list of interested candidates for ANC 1A, I noticed that the areas in most need of candidates are largely west of 14th Street and/or in the southwest section of the Commission area (see map below). Two of the races — SMD 1A08 and SMD 1A09 — show multiple potential candidates. However, until nominating petitions have been successfully circulated and turned in to the Board of Elections we won’t know who the final list of candidates will be. If you know of anyone who has ever expressed an interest in serving on the ANC — especially someone living in the areas shaded in blue below — this would be a great time to encourage them to pull petitions and get on the ballot for the November elections. (As of close of business on July 17th, no candidates had expressed interest in running for the Single Member Districts shaded in light blue).